ALL schools in the country are to remain closed today. As Storm Ophelia continues to rages officials have decided that for safety reasons all schools should remain closed for another day. Schools in Northern Ireland will also remain closed. However, the situation for creches and third level institutions is not so clear - with the final decision being left to the individual faciility. 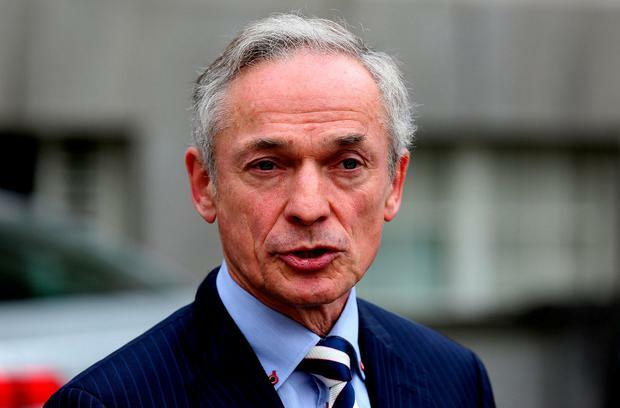 Education Minister Richard Bruton said the decision on schools was made in the "interests of safety". "Following careful consideration by the National Emergency Coordination Group, the Department of Education and Skills, has decided that all schools will remain closed [on Tuesday]," Minister Bruton said. "It is recognised that the decision to close schools will have a major impact on families and on the workforce. However, this decision has been taken in the interests of safety for children and to provide clarity for everyone concerned." A Department of Education spokesperson said that while it was recognised that some schools may not be as badly impacted as others, severe winds are continuing to cause damage. The spokesperson added that many school authorities had not had an opportunity to check buildings and confirm that they were safe, had power and water and that routes to the school would be safely open. All third-level institutions were covered by a blanket instruction by the Department of Education to close on Monday. However, sources indicated that it seemed likely that it would be left to individual colleges to make up their own minds. It is expected that many will open today. The creches and montessori schools will also make their own decision on whether to reopen. Most crèches are privately owned but receive State funding for their services through a variety of schemes. The Department of Children said: "The safety and welfare of children, staff and parents should be carefully considered by each service before they decide on service resumption. "Assessments of buildings and other infrastructure should only be carried out when safe to do so."